The grapes are hand-harvested towards the beginning of September. To maximize aroma preservation, the grapes are picked up during the cool morning hours at a temperature below 20°C. After the whole-cluster pressing the juice is allowed to cold settle for 36 hours at 12°C and then fermented at 17°C to enhance the development of intense varietal flavors. The young wine remains in tank on its lees with weekly stirring until bottling. 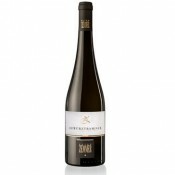 The bouquet is intense and persistent, as well as delicate and aromatic, featuring pleasant notes of sweet spices. 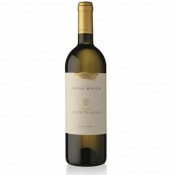 The palate is dry and aromatic, a combination of tastiness and fragrance, blended with a velvety consistency. 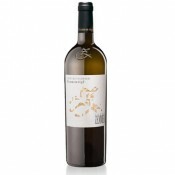 The winery is located in Strassoldo, a striking fortified village from the feudal age between Palmanova and Cervignano. Its head office is located in an historical residence dating back to the eighteenth century, deeply amidst an age-old park crossed by a magnolia path that goes until disappearing in the distance among the vineyards. During the last years a complete reorganization of the whole vineyard area has been carried out using modern training systems. 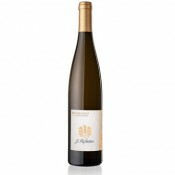 To guarantee a strict control over the whole production process, which is entirely family-managed, every production step takes place rigorously within the estate, from the grape growing to the wine bottling. An ideal aperitif, a perfect matching with fish and shellfish and a good companion with asparagus or pumpkin dishes, as well as with fresh cheese. To be served at a temperature of about 13° C.
This wine should be served young for the greatest appreciation of all its fragrance and taste, and stored in a dark, cool, damp room.